Ultra-high net-worth individuals (those with assets exceeding $30m) live lives that most of us can only dream of. From designer watchers to private jet and even private islands, they are living proof that money can buy happiness. Sometimes though, a new yacht or diamond bracelet just doesn’t quite do the trick. This is probably why there have been an increasing number of wildly expensive sales of personalised number plates; which is perfectly understandable, because private plates offer a level of exclusivity that very few products can compare. Personalised number plates are another step higher than a limited edition Maserati – there will only ever be one of each. If you’re wondering how much the one percenter are willing to pay for their cherished plates, then please continue reading. There’s probably no number plate that is more British or more patriotic than GB1. Its price today would likely be in the millions, but when it was sold at a DVLA auction in 2009, the current owner paid £325,000 for the privilege of assigning it to a white Rolls-Royce. This plate, purchased by an opportunistic broker in the 1970s, was put up for sale in March 2010 at a DVLA auction. 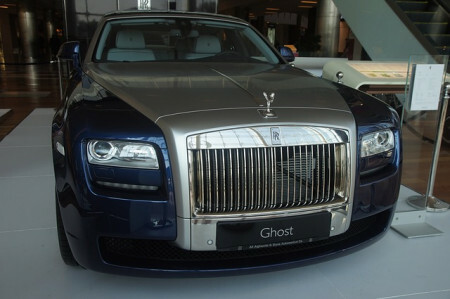 The winning bid was £340,000, and rumour has it that the plate was assigned to a Rolls-Royce Phantom. A perfect birthday give for someone named Julie – if you have £350,000 lying around somewhere! You might be inclined to think that one of the members of One Direction purchased this. We’ll, you would be wrong. 1D was purchased by property tycoon Nabil Bishara in February 2009 at a DVLA auction for a little over £350,000. As it turns out, he was buying it for his wife’s Bentley Bentayga SUV as a birthday present. S1 has the distinction of being the first ever number plate issued in Scotland, and the original owner was no less than Sir John Hay Athole MacDonald, the Lord of Kingsburgh and Lord Justice Clerk of Scotland. Lord Kingsburgh, who would go on to establish the Royal Automobile Club, probably never imagined that someone would pay almost four hundred thousand pounds for the plate number a century later. Purchased from the Essex County Council in private sale in 2008 for £440,625, the plate is now listed for sale at £14.7 million by its new owner, Afzal Kahn. Not much is known about the chain of ownership for G1, but we do know that it was sold in 2011 at a private auction for half a million pounds and is currently assigned to an Aston Martin. It briefly held the British record of the most expensive license plate. X1 broke G1’s record of the most expensive plate un UK when it was sold in a private auction in November 2011 for a little over half a million pounds. It has been reportedly assigned to a Mercedes Benz Elegance. At first glance, you might think the other two-character cherished plates listed above should’ve been worth more than the 25O. However, this number plate value is tied to the one car it was destined to be with – the Ferrari 250GT of classic car dealer John Collins.